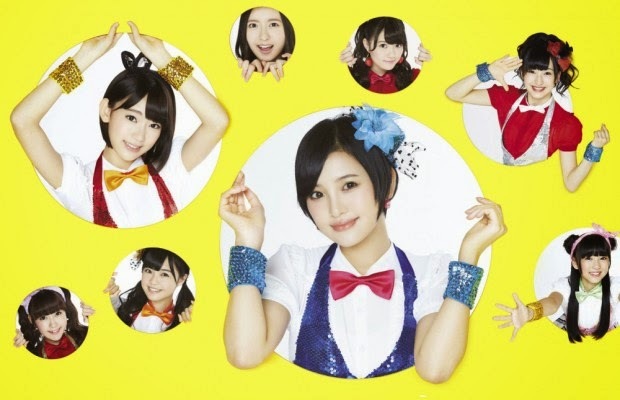 HKT48 will release their 4th single [Hikaeme, I Love You !] on September 24th. The covers and tracklist for this single have now been revealed. JKT48 have released their 7th single [Papan Penanda Isi Hati] on 27th August 2014. The release time shares the same date with AKB48's version of the song [Kokoro no Placard] just like [Koisuru Fortune Cookie] last year. AKB48's subunit DiVA has announced that they will disband at the end of the year. But before the disbandment the group will restart activities for a while. For this final activities former DiVA member Masuda Yuka will return to the group and the 'i' in the name will be changed to capital letters so that they will perform as [DIVA] from now on. A new single, their first in two and a half years, will be released on October 8th. The release of DIVA's first and last album as well as a final live event are also planned. Once again AKB48 is looking for a new member but this time following a new concept. On August 10th it was announced that AKB48 wants to recruit a new part-time member. This member will work for 1000 Yen per hour and will participate in the usual AKB48 activities like TV shows, CM, handshake events etc as Baito AKB member. This new project is part of the AKB48 Group campaign for the part-time information site Baitoru. Application time already started and will go on until September 10th. The final audition round is planned for late September. As with Otona AKB, the Baito AKB member will only be a temporary one until February 2015, but with the option of a contract renewal for another three months. Applicants have to be at least junior high students. Apart from the salary complete social insurance, transportation and food allowance as well as costumes will be provided. On August 8th, the AKB48 Group held preliminaries to determine participants for the janken tournament. All Team A, K, B and 4 members (including concurrent members) participate automatically but Team 8 members, Kenkyuusei and sister group members had to win preliminary janken rounds to participate. On August 5, AKB48's Team 8 made its theater debut in the AKB48 theater. 16 out of the 47 members were selected to perform the Shonichi show, a remake of AKB48's very first stage [Party ga Hajimaru yo]. The setlist can be found below. Team 8 was first revealed to the public in April. Since then they have held several local events in various parts of Japan. Following the AKB48 theater debut they also tour the other 48 Group theaters with changing performing members. Recently Team 8 member Okubora Chinatsu, the Gifu representative, graduated but a replacement has already been selected: Hattori Yuna (13) was revealed as new Gifu member at the end of July. AKB48 will hold a Janken Tournament this year as well, on September 17. This will be the fifth Janken tournament for AKB48 but this time there is a new reward: the tournament winner will make a solo debut! If a member wins who already debuted as solo act she will get a solo concert in addition to the new solo single. Those who rank #2~#16 at the tournament will participate in the winner single's coupling songs and the respective music videos. The preliminary rounds for the tournament will be held on August 8 during the AKB48 Natsu Matsuri (summer festival) and the tournament pairings will be determined during a handshake event on the following day. During a handshake event on August 3, HKT48 announced the release of their 4th single. The single will go on sale on September 24th. Further details will come out on a later date. During a special SKE48 live show on August 4, two Kenkyuusei promotions were announced: Inuzuka Asana and Noguchi Yume were both promoted to Team S.
Inuzuka Asana is a 4th Generation member who already joined in fall 2010. She was a Kenkyuusei for almost four years and the last 4th generation Kenkyuusei left unpromoted. Noguchi Yume is a 6th generation member. She joined SKE48 in early 2013. She is the sixth 6th gneration member who got promoted. SKE48's 15th single [Bukiyou Taiyou] has finished its first week and once again SKE48 took the first rank in the Oricon Weekly Charts. The single sold 324,076 in week one. The previous single [Mirai to wa?] already had lower sales (first week: 397,874) than other recent SKE48 singles but [Bukiyou Taiyou]'s are even lower by more than 70,000 copies. But theater version sales rounds are still not all finished so sales are hard to compare. Soundscan sales have gone down as well but not as much as total sales: SKE48 ranked on #2, #5, #6 and #7 with a total of 102,722 copies sold (previous single 118,750).